im just suprised he's got the balls to stand so close !!! But wouldnt it be cool to have one of those in your garden !!!!! Have a look through the site. He uses an earthed chain glove to arc the thing onto his hand, both on land and in the pool. 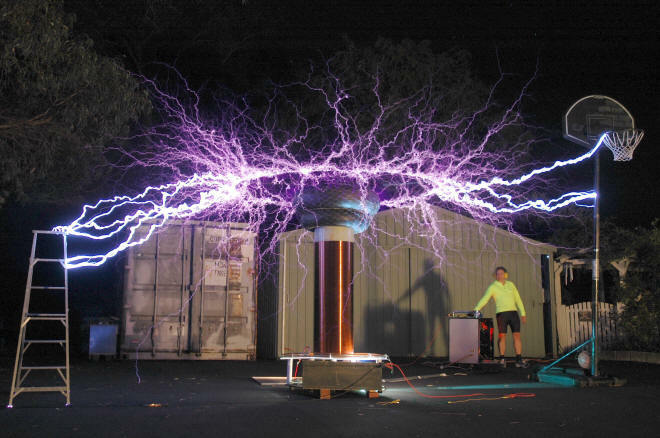 Also puts his eye about 4 inches away from a 2 inch arc generator, just for a cool photo.